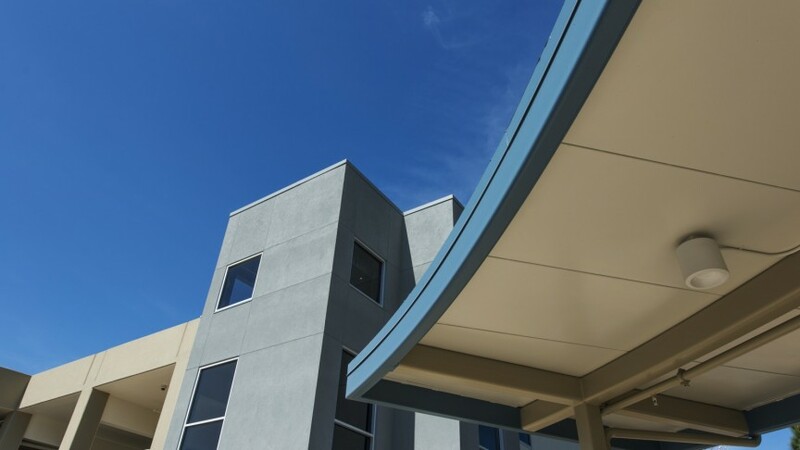 This ambulatory surgery center and 3-story parking structure joins two existing medical office buildings on Palo Alto Medical Foundation’s (PAMF) Fremont campus. 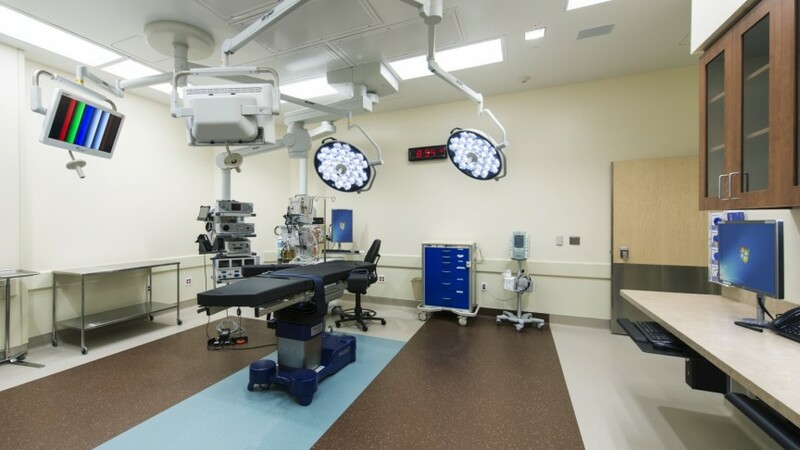 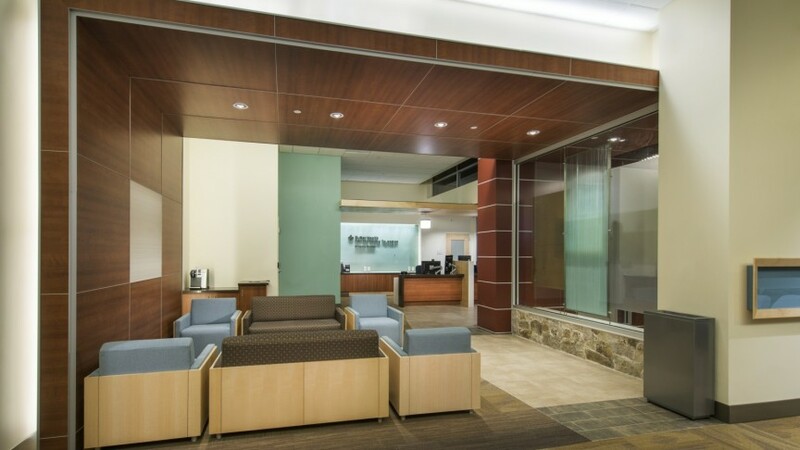 The new surgery center features 4 ORs, 2 GI procedure rooms, 9 recovery, 9 pre-op, 2 twenty-three hour rooms, 5 PACU bays, and a sterile processing department which will provide service for the outpatient PAMF facilities in the East Bay (Dublin and Fremont). 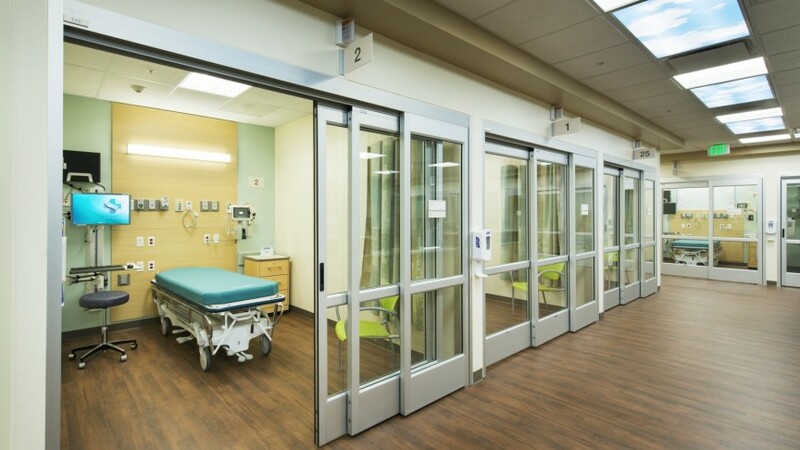 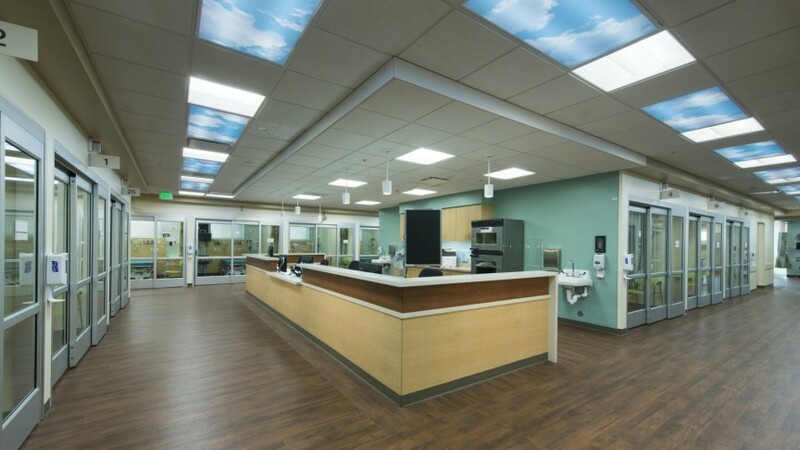 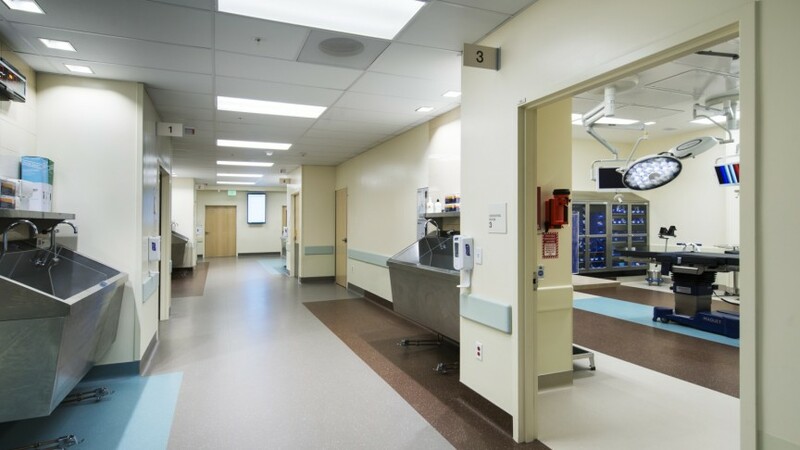 Standardized bays and ORs provide flexibility for staff, while skyscapes in the corridors provide a positive distraction and calming effect for patients. 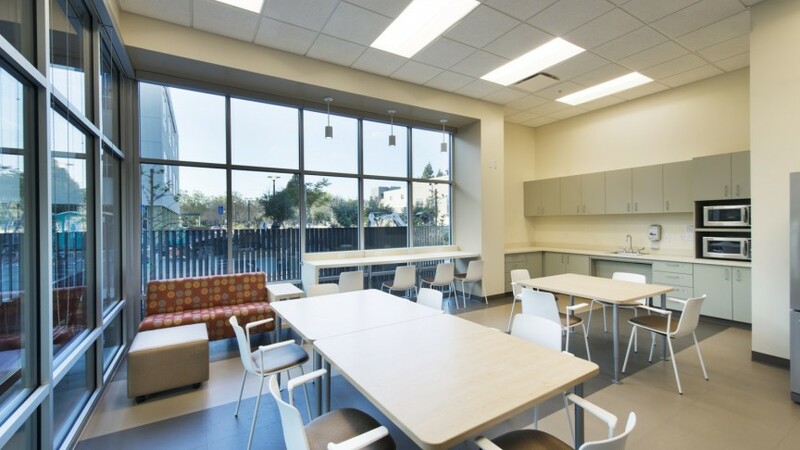 Located at the corner of a busy intersection, the PAMF campus serves as the gateway to downtown Fremont. 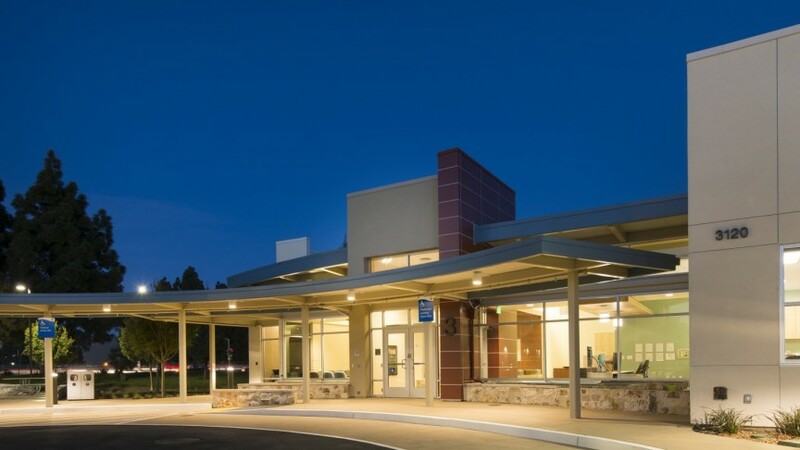 Complementary exteriors unify the new additions with the existing medical office buildings, while the surgery center’s drop off canopy leads to the 3-story parking garage, creating a seamless transition. 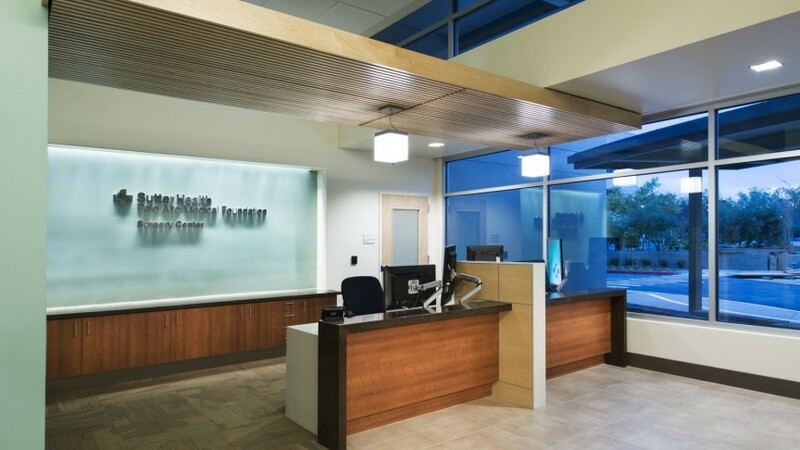 A tall, red metal panel serves as an effective wayfinding tool, guiding patients to the building.